The three sister islands of Saint Lucia, Dominica and St Vincent and the Grenadines (located in the Eastern Caribbean) have just emerged from the most harrowing and tragic Christmas ever – one that they could not possibly have anticipated. All three islands were pummelled by torrential rains and strong winds generated by an unseasonal low-level trough system over a 24-hour period from Christmas Eve to Christmas Day. In St Vincent eight people were reported dead and four missing as a direct result of the turbulent weather, while six lost their lives in Saint Lucia. One person was reported missing in Dominica. This storm was like nothing ever seen in this part of the Caribbean, especially considering that the hurricane season officially ended nearly a month ago, on November 30. There was virtually non-stop lightening and crackling thunder, along with incessant heavy rain for well over 24 hours. It forced many to give some serious thought to the implications of climate change and the extreme and increasingly erratic nature of global weather. 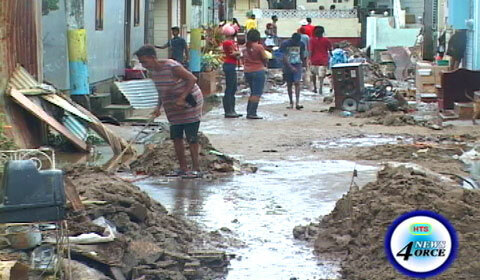 Like the other two islands, Saint Lucia has suffered massive infrastructural damage as a result of the freak storm. Several parts of the island were ravaged by landslides and flash floods caused by unseasonal heavy rains and overflowing rivers that burst their banks. There was widespread flooding in Central Castries and the villages of Anse-La-Raye and Canaries along the west coast, as well as in Bexon, Dennery and Micoud on the east coast, and further south in the towns of Vieux Fort and Soufriere. A large section of a major highway along the island’s east coast leading to the southern town of Vieux Fort has been virtually severed. Additionally, an old concrete taxiway that serves as the main access into Vieux Fort has collapsed and several large slabs were literally ripped out of the foundation. This roadway runs right alongside the beach and was built by the American government during World War II. 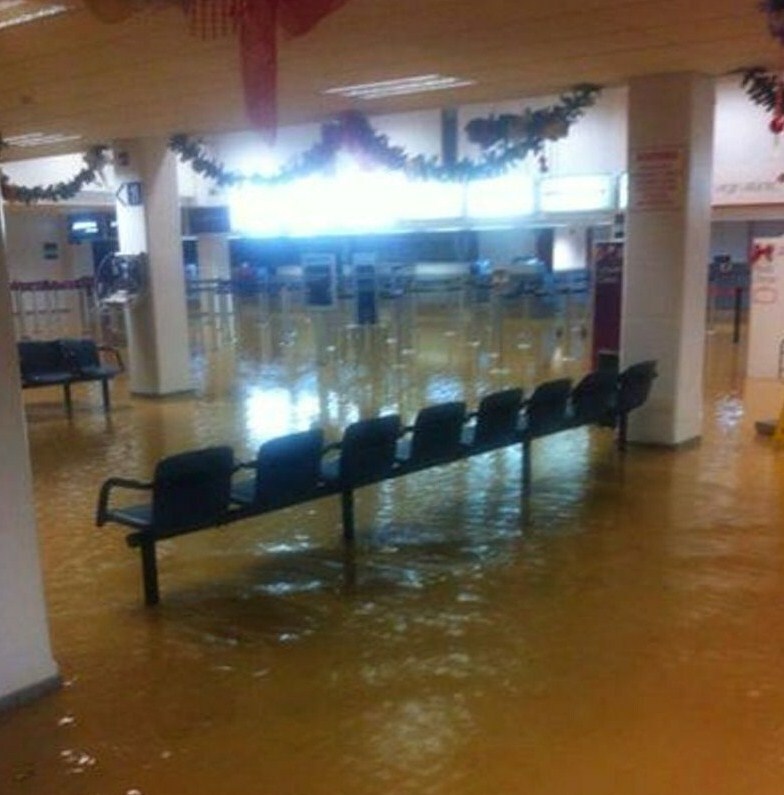 The Hewanorra International Airport terminal building, also located in Vieux Fort, was badly flooded and debris accumulated on the runway. The airport has since been reopened and normal operations have resumed. 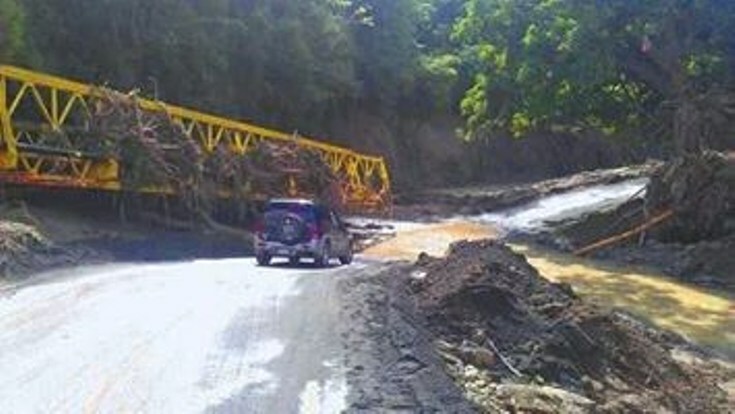 Some seven bridges were either overrun by floodwaters or damaged (including in Anse La Raye, Grand Riviere, Dennery, Riviere Mitan, Marchand (Central Castries), Grand Riviere (Dennery) and Black Bay). Two others were reportedly washed away – one in Canaries on the east coast and the other in the south-eastern village of Piaye. The loss of these two latter bridges coupled with landslides have severely hampered access to Soufriere via Castries and Vieux Fort. Cleanup work is now underway and access is expected to improve gradually. Parts of Cul-de-Sac near the entrance of the former Hess Oil complex and many homes and businesses in Bexon, just south of the capital Castries, suffered monumental flooding, creating a nightmare for home and business owners, as well as motorists. Several people had to be evacuated from flood-inundated houses and vehicles. The waters reportedly reached depths of up to five feet. Several other parts of the island’s main thoroughfares were rendered impassable by raging floodwaters for many hours, including the Bois D’ Orange bypass in Rodney Bay, Gros Islet. Hundreds of commuters who were scheduled to head south out of Castries were left stranded in the capital on Christmas Eve. Many of them had gone to do their last-minute Christmas shopping. They were forced to overnight at bus shelters, on buses, in business places, churches and community shelters and with friends and families. The island’s agricultural sector was also hit hard. Many banana and vegetable farms were flattened by the flood waters. The storm also caused power and telecommunications outages in several parts of the island all through the night of Christmas Eve and for much of Christmas day. Both utility services have now largely been restored. The water supply has also been affected due to damaged water mains and blocked water intakes. None of the island’s hotels were significantly affected by the storm and they are currently all open for business. The Saint Lucia Meteorological Services reported that 250 millimetres (9.84 inches) of rain was recorded during the 24 hours ended at 8:50 am on December 25. The general consensus on the ground and among government officials, is that the infrastructural damage wrought by this storm (much of it in the south and south-west) is in many cases as bad as what was inflicted on the island by Hurricane Tomas in 2010. A call for financial and other forms of assistance has gone out to individuals, governments and organizations around the world to, among other things, provide much needed help to families who have suffered major losses from the disaster. UPDATE: Click here for an address by St Lucia Prime Minister, Kenny Anthony on the recovery efforts after the storm, delivered December 30, 2013. So sorry to hear your news. I do hope that your relatives are safe and have shelter. When I first read about the storm in the news, I considered it another manifestation of our changing climate. 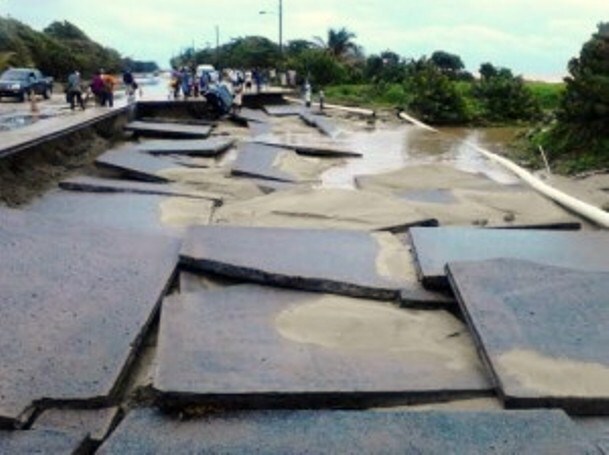 Southeast Brazil has also been hit with excessive rainfall, resulting in flooding and mudslides. For how much longer can the Powers-that-be continue to spread denial of global climate change? My family and I are okay, thanks. At best, they will continue paying mostly lip service to the problem until ‘We the People’ wake up to the reality confronting us and demand answers. I am more concerned, though, about the global mainstream media’s deafening silence about the possibility that certain scientific inventions may actually be contributing to the extreme and deadly weather we are now experiencing. Devices like HARRP, for example, which is even causing the European Union concern. Glad to hear that you and your family are safe. Thanks for sharing those links about the HAARP program. This is the first time I’m hearing about this program/weapon. Now, I know for sure that we’re headed for self-destruction. It reminded me of the seven-year-old daughter of a co-worker in Brazil who burnt down their house, killing herself, while playing with matches.